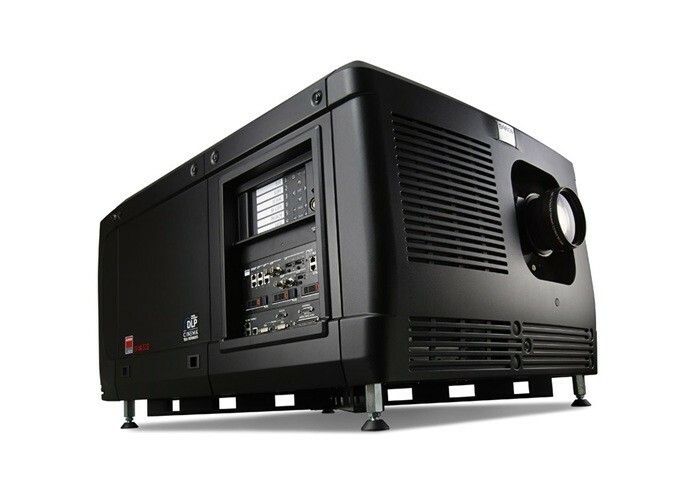 The top-of-the-line Barco Alchemy DP2K-32B is the brightest digital cinema projector on the planet. Thanks to its record light output, vibrant colors and exceptionally rich contrast levels, the DP2K-32B is the ultimate 3D machine for screens up to 32m wide. By merging the projector and media server functionalities into one projector module, the DP2K-32B Barco Alchemy projector is a full-fledged, DCI-compliant projector and media-server solution with on-board storage. Reducing the required hardware, it increases simplicity and reliability. The smart projector detects potential operational errors and warns users in case of mishaps. Great in TMS environments, it operates stand-alone in single-screen applications. Thanks to the embedded Barco Web Commander user interface, shows can be created and scheduled remotely.